Val Perez is a strong supporter of economic development, education and non-profit organizations throughout South Florida. “We believe it’s important for us to focus on the communities we serve,” says Perez, who is retail market president for TD Bank, known as “America’s Most Convenient Bank.” As a board member of the Business Development Board of Palm Beach County and chair of the Education Foundation of Palm Beach County, Perez provides his ideas and suggestions on key issues facing the region. 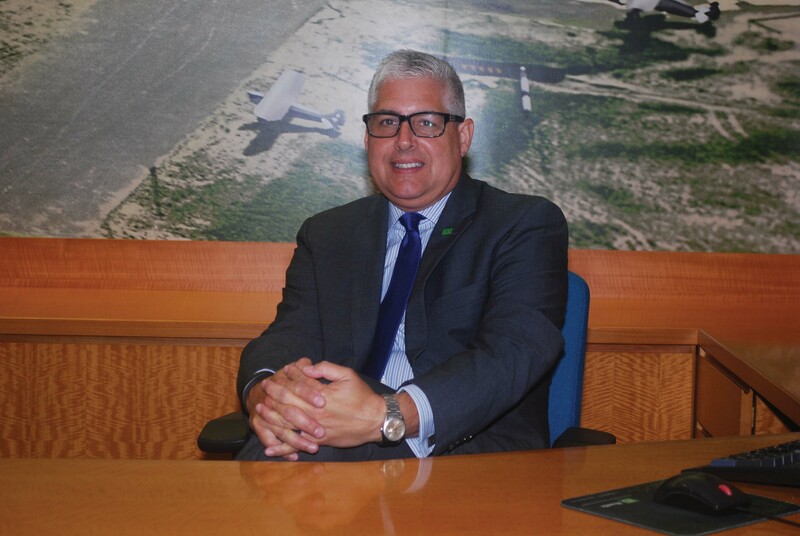 Perez brings more than 26 years of banking experience to his role as market president for TD Bank’s operations in 85 offices from Homestead to Vero Beach. In addition to extensive retail experience, his career includes marketing, bank integrations, international private banking, domestic private banking and mortgage lending. Perez grew up in Kingston, New York, before moving to South Florida with his family. “We had friends who were involved in banking, and it seemed like a natural career choice for me,” he says. Perez started his career in 1985 as a teller in the Boca Raton office of AmeriFirst Savings & Loan. He soon joined the management training program, learning how to analyze corporate balance sheets. “I became a credit analyst and then a commercial relationship manager,” he says. After that role, Perez returned to Florida, and played an active role in NationsBank’s 1997 acquisition of Jacksonville-based Barnett Bank, the largest bank merger in U.S. history at that time. In 1998 NationsBank acquired Bank of America and kept the name. Perez then became statewide marketing manager for Bank of America in Jacksonville. In the early 2000s, Perez came back to South Florida, taking on several management roles for UnionPlanters Bank. After the bank’s merger with Regions Bank, Perez became regional market president in Palm Beach County. He was then recruited by Citibank to re-engineer its small business lending program in a seven-state area. In 2012, TD Bank hired Perez as regional vice president of commercial banking for Palm Beach County, and he assumed his current role last fall. Perez’ diverse banking experience — including working closely with mergers and acquisitions — has provided a solid foundation for his leadership role at TD Bank, which has deep roots in U.S. and Canadian history. The company first opened its doors in Maine in 1852 as Portland Savings Bank. In 2007, TD Bank Group of Toronto, Canada, a top 10 financial services company in North America, acquired the company’s successor, Banknorth, followed by New Jersey-based Commerce Bank, and rebranded its U.S. affiliate as TD Bank. In 2010, TD Bank entered the Florida market with the acquisition of Riverside National Bank of Florida, First Federal Bank of North Florida, and AmericanFirst Bank from the Federal Deposit Insurance Corporation (FDIC). Today, TD Bank is one of the ten largest banks in the U.S. with 1,300 offices from Maine to Florida. Based in New Jersey, TD Bank and its subsidiaries offer private banking and wealth management services through TD Wealth. Perez also believes attorneys and accountants should pay close attention to the region’s economic development activity — a feeling shared by his colleague Ernie Diaz, TD Bank regional president for Metro Florida and incoming chair of Miami-Dade’s Beacon Council. “Being involved gives you a good perspective on what may be happening two or three years down the road,” he says.